The existing property comprises a large detached early 1990’s building. The building is constructed of red brick with buff and black brick detailing and a hipped concrete tile roof over. The total plot area measures 0.05 hectares. The site is not covered by any specific designations, including conservation area, listed building, flood zone and lies outside of the Central Business District/City Centre area. 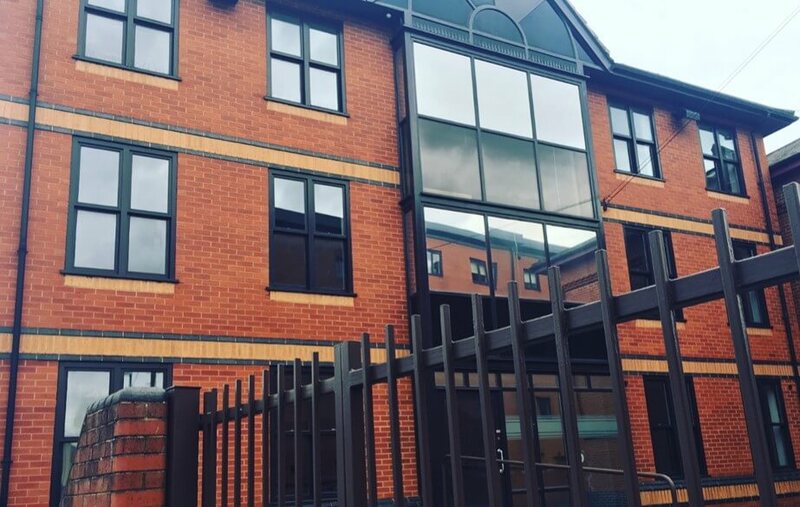 Previously an empty B1 Office Block in the heart of the student district in Derby, planning consent has been granted to change this into: 3 x 6 bed luxury Student HMO flats all with en suite's and parking. Ruth has bought property and traded them up since 1999 when she inherited her first property and got hooked. She lives, eats and breaths property. Her aim over the last few years was to break into the commercial conversion to residential sector, and to do this, she immersed herself into this field through training courses, manuals, podcasts, reading etc. In the last 5 years she has purchased and developed 8 properties and a further 3 that she has retained and rented. Gillian is a Prince 2 Practitioner Project Manager with over 20 years’ experience in Investment Banking and Asset Management. Her area of expertise is Financial Crime Regulatory Compliance. After helping Ruth get the property business off the ground, Gillian now supports her sister with validating project viability, monitoring spending to ensure constant cash-flow and helping drive company direction and vision.